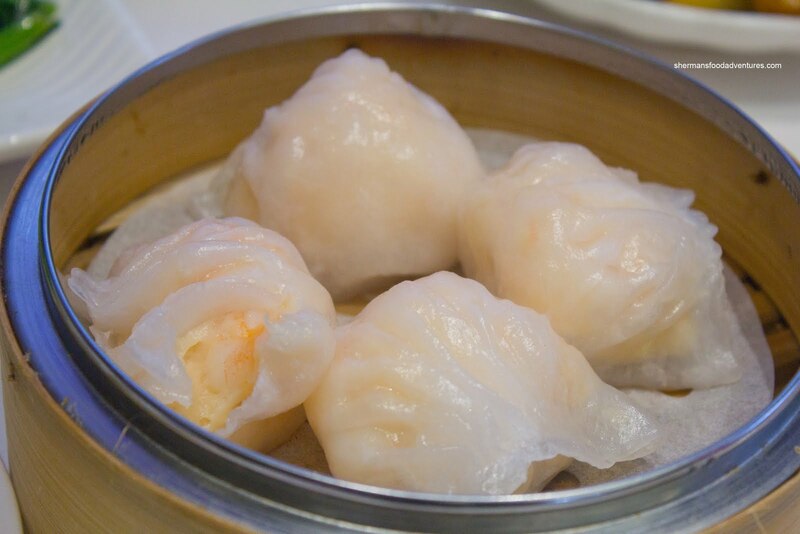 For awhile there, I was trying to hit up all of the Dim Sum joints in Richmond. That stopped pretty quickly due to the lack of proximity. It is amazing I make it out to Richmond as much as I do already considering the distance, parking headaches and potential car damage that can be incurred. Alas, even those challenges cannot prevent me from gravitating towards the land of no shoulder checks and broken turn signals. 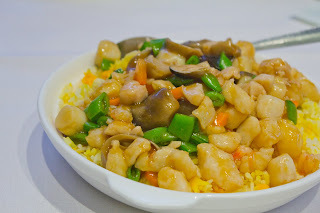 The dearth of good Chinese food around where I live only adds more fuel to the fire. 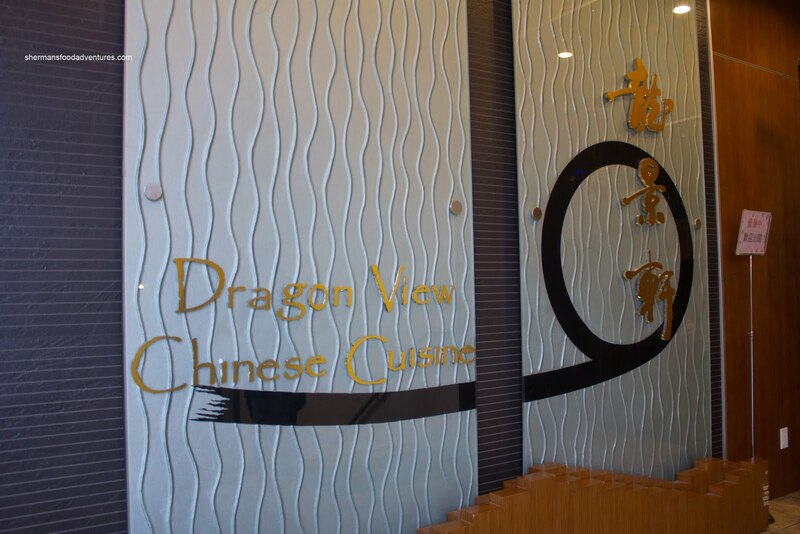 So with Viv out-of-town, I tagged along with my parents for Dim Sum at Dragon View in Richmond. Affiliated wi th Wah Wing in Coquitlam, I was curious to see if the food was any better due to its location. scored a nice table in a corner, away from the mass confusion at the centre of the restaurant. 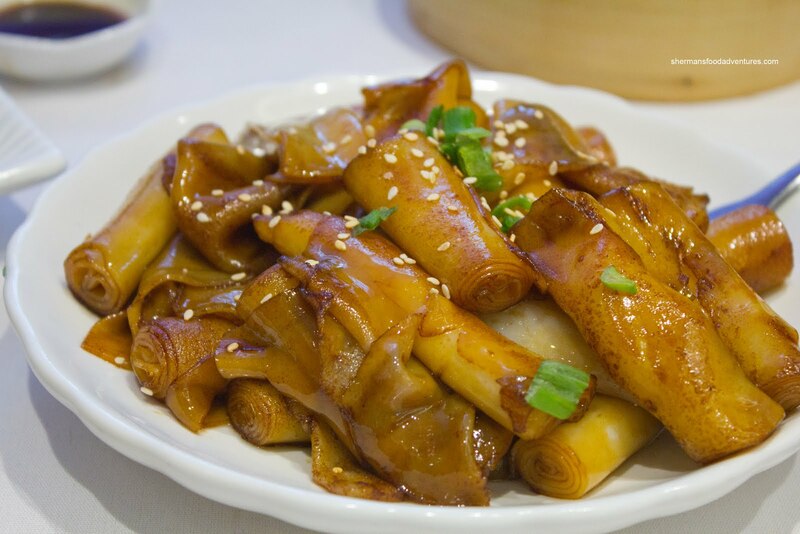 And much like any other Dim Sum joint, there is no rhyme or reason to the expedition of dishes. Hence, we received the Egg Tarts first. These weren't too bad with a flaky crust and nicely texture filling. I found the filling to be rather sweet, but I guess that is not a huge problem considering the well-executed components. Feeling guilty about not getting enough greens lately, I got an order of the Stir-Fried Yui Choy. These were prepared properly being soft enough to chew while still retaining some crunch. Furthermore, the dish wasn't too greasy nor overseasoned either. For the kiddies, we got an order of the Fook Chow Fried Rice. As the picture suggests, there was no absence of ingredients on top. Lots of tender chicken, mushrooms and cr isp beans and carrots. However, the one thing that made this dish a partial fail was the really dry and hard fried rice base. We believe it was done beforehand and left out too long. In actuality, this is a common practice to make a big batch of fried rice, so no real surprise. It just shouldn't have been so dry to begin with and left out to dry out even more. Yet another kid favourite, the Shrimp Spring Rolls arrived next. With the addition of seaweed, this made for an interesting version. In some ways, it added some flavour to the roll. Yet on the other hand, it completely changed the normally crunchy texture. 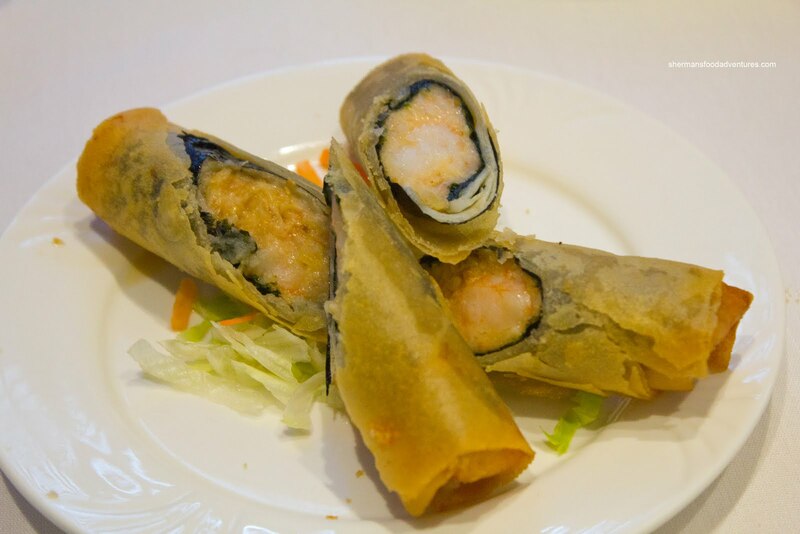 When we typically chew through a spring roll, we get an immediate crunch followed by a softer filling. In this case, the crunch gave way to a layer of extreme chewiness that halted our eating enjoyment as we struggled to get through it. On the positive side, the shrimp filling had a nice sweet nap. In the end, we could've done without the seaweed. Onto my son's favourite dish, the Soy-Fried Rice Noodle Rolls. How much does he like this? He can have this for breakfast, lunch and dinner all in one day... Talk about the anti-Atkins diet. These were a bit stiff and dense for our liking. For those rice noodle roll aficionados, you might question why the rolls look "soft", even though my experience was the opposite. Yes, some rolls began to fall apart, particularly in the front of the picture. Let me assure you that it was not soft, rather, it was just prepared haphazardly. 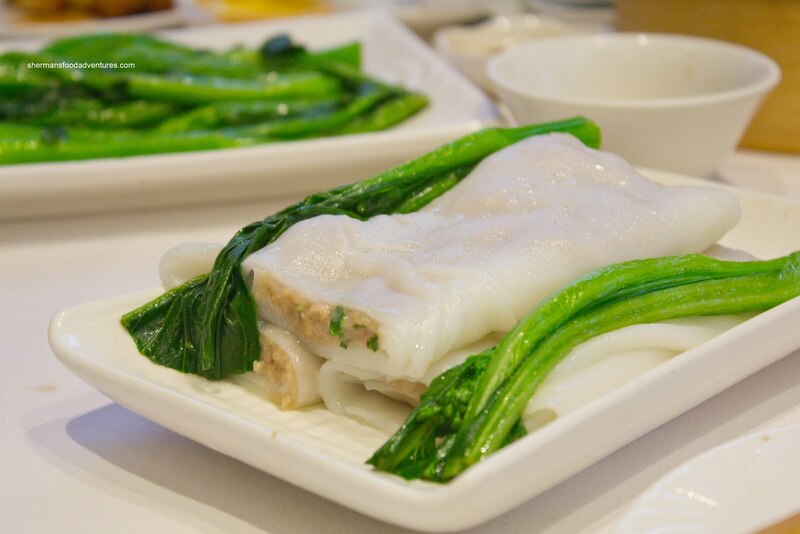 Now due to the different cooking method (actually, it would be the second stage of cooking rice noodles since they have to be steamed as a sheet to begin with), the Beef Rice Noodle Roll was much softer. The meat filling was plentiful and not gritty. 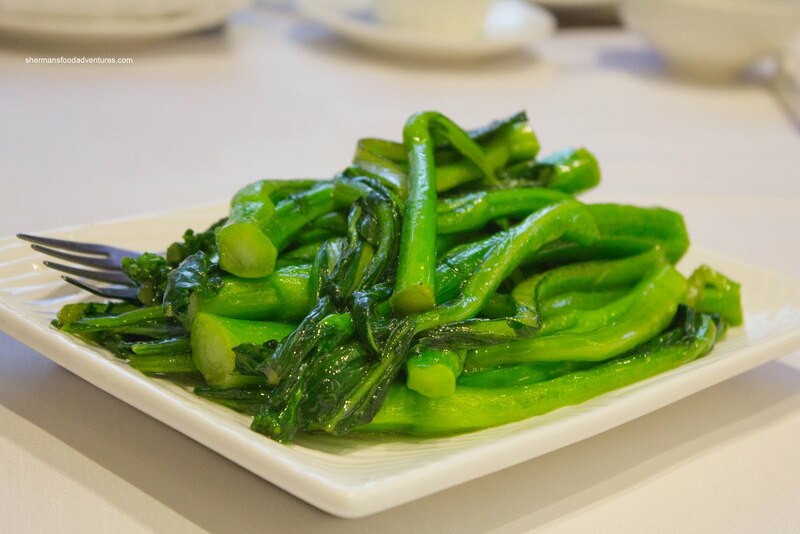 We would've preferred less green onion though, it was overwhelming. 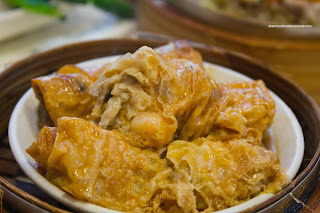 Of all the dishes, it was a bit surprising that the Bean Curd Skin Roll was my favourite. Generally, there are more "sexier" choices than this as the best item at Dim Sum. 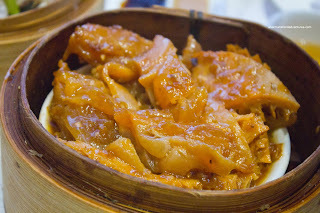 However, I really liked the texture of the bean curd skin since it was still chewy while soft at the same time. 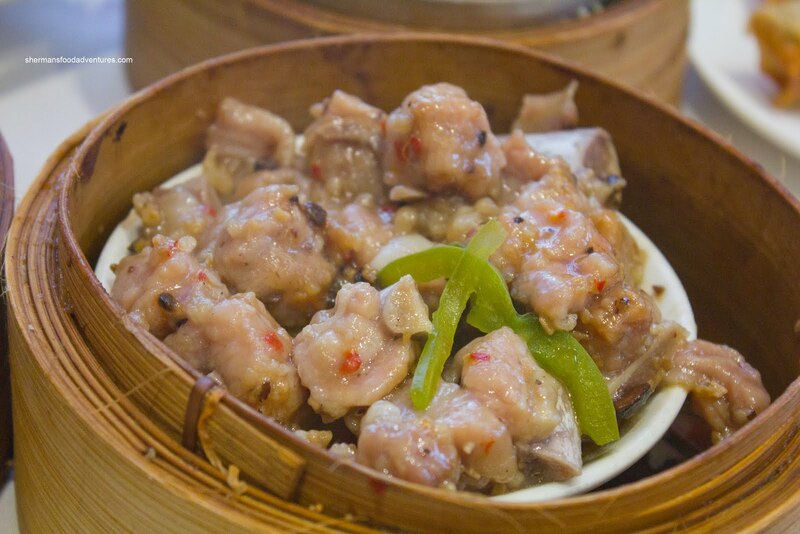 The filling really benefited from the addition of large chunks of shrimp, which added a nice snap to the moist pork. I also liked that there was not a big glop of sauce on top and underneath the rolls. That, to me is not really all that appealing. Now, the connection with Wah Wing didn't really sink in until we got the Sui Mai. These were exactly the same as the ones I had a there and unfortunately, they were not any better. By looks alone, they look awesome with a big cold-water shrimp and tobiko on top. However, the dumpling looks way better than it tastes. It was like they forgot to season it or something. Furthermore, the pork was far too chewy and did not exhibit that "bounce" texture achieved with proper tenderizing (strange since the pork in the bean curd roll was fine...). Of course when we have Sui Mai, there is also the other Dim Sum staple - Haw Gow (or steamed shrimp dumplings). I'm sure if you look at the picture, it is quite obvious one of the dumplings had a boo-boo. Aesthetically unpleasing and really a no-no, luckily it was not an indication of how the dumplings really were. The skin was slightly sticky while the filling was pretty good. Lots of snap and crunch combined with the natural sweetness of shrimp, it was almost forgivable for the damaged-looking dumpling. Almost. For us, another must order is the Steamed Black Bean Spareribs. 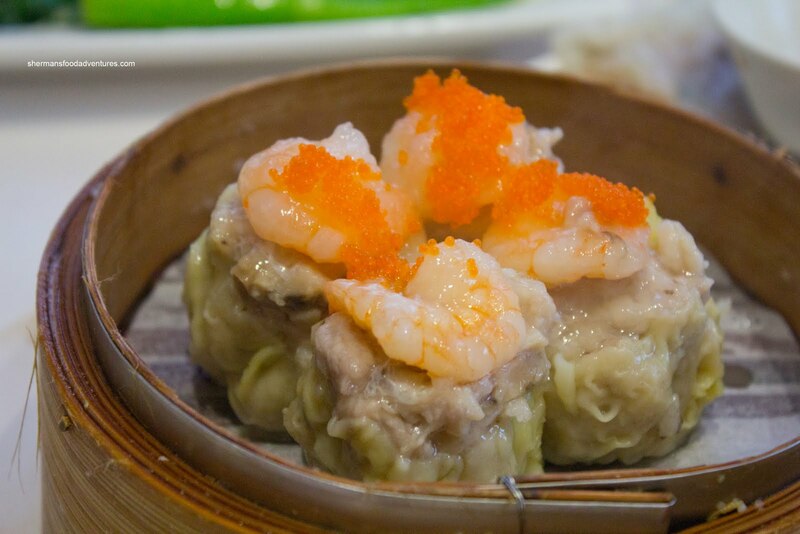 We usually like it on rice, but it seems that more and more Dim Sum restaurants do not offer it. I guess it would be too much of a filler and people would end up ordering less? Could be... Well these were pretty good. The meat was tenderized properly exhibiting a slight chew which was still tender. Lots of garlic and seasoning, in particular, the chili flakes which added another layer of flavour. As you can also readily see in the picture, the pieces were meaty with very little fat or cartilage. For our last dish, it was predictably offal. Hey, for myself Dim Sum is not complete without innards of some sort. In this case, we had the Beef Tendon and Tripe. This was a large portion of soft tendon and tender tripe. Some of the tendon was a touch too soft, yet not overly so. The tripe was a perfect balance of tender while still having a slight chew. The dish was predominantly sweet with plenty of garlic. So, by virtue of being affiliated with Wah Wing, I can't help but make comparisons. 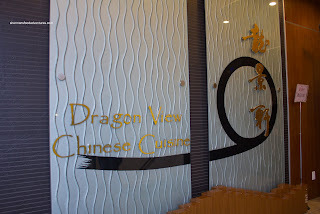 The good news is that Dragon View was better than Wah Wing. The bad news is that it was a bit uneven. 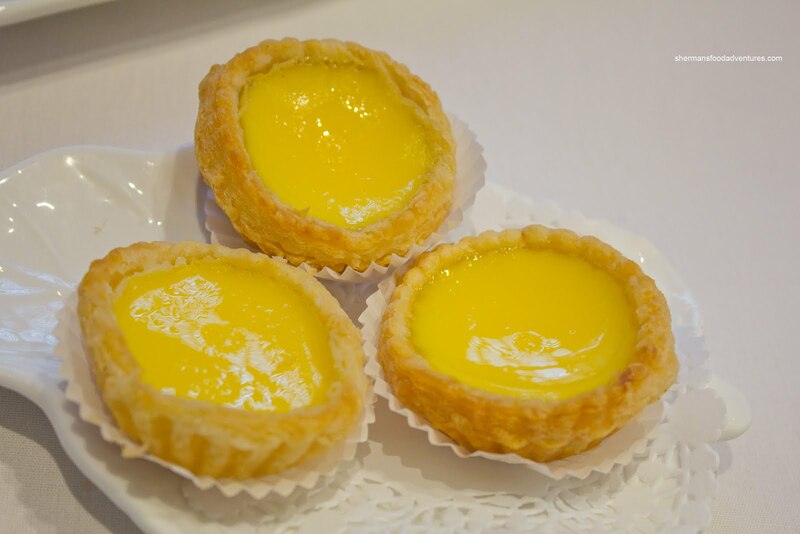 Considering it is located in Richmond, there is plenty of competition nearby and I'm not sure if I would personally pass up any one of the following: Sea Harbour, Fisherman's Terrace, Rainflower, Sun Sui Wah, Red Star or Kirin, to eat Dragon View. However, they are very busy and continued to be so throughout our meal. Hence, they must be doing something right because they are not hurting for business.